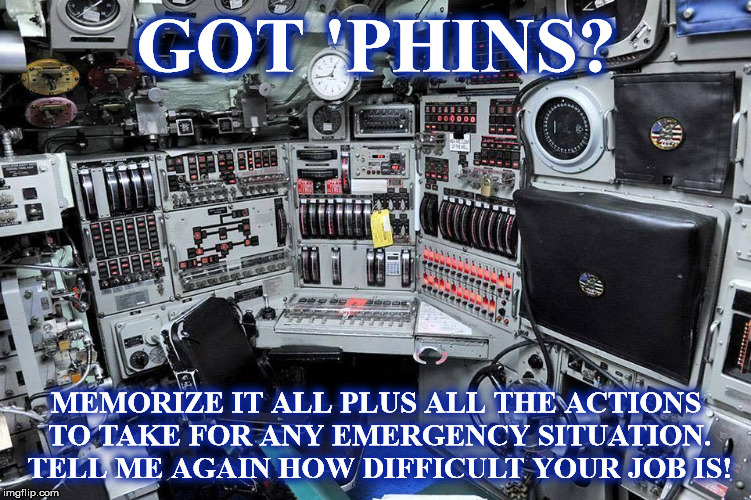 GOT 'PHINS? MEMORIZE IT ALL PLUS ALL THE ACTIONS TO TAKE FOR ANY EMERGENCY SITUATION. TELL ME AGAIN HOW DIFFICULT YOUR JOB IS!